Singer and saxophonist KARL DENSON fronts the TINY UNIVERSE as if he’s preaching the gospel. His energy and spirit are contagious while his songwriting serves a larger message of fellowship—across generations, genders, religions and cultures. 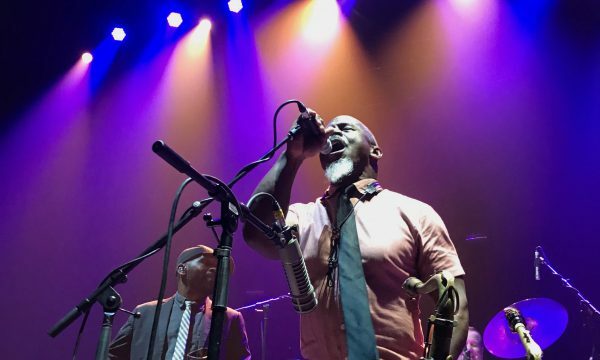 Along with KDTU, DENSON serves as the touring saxophonist with The Rolling Stones, while continuing to hold down his role as a founding member of the seminal funk band, Greyboy Allstars. Following their mainstage set Friday, July 5, KDTU reprises their much raved-about Allman tribute, “Eat a Bunch of Peaches”, at the After Hours show in the Marriott Ballroom.